An increasing number of approvals for new products have had a positive bearing on the global market for chlamydia infection diagnostics and therapeutics. The market at present is consolidated in nature owing to the presence of a few players who account for well over half the share in the market in the diagnostics segment and around a quarter of the share in the therapeutics segment. This also makes competition less intense in the market. Nevertheless, lead players are seen adopting a number of strategies to maintain their stronghold in the market. For one, they expanding operations in upcoming regional markets that hold out a lot of promise. They are also seen banking upon product development and launches and acquisitions and collaborations. 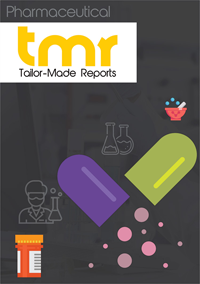 Foremost among growth drivers in the global market for chlamydia infection diagnostics and therapeutics is the increasing instances of chlamydia infection, increasing screening coverage, and more holistic reporting, particularly in developed countries. Besides, increasing academic research in this direction leading to emergence of more cutting-edge therapeutics and higher spending in healthcare in both advanced and emerging economies are also benefitting the market. Availability of sensitive diagnostic tests have actually led to a rising number of cases of the infection being reported. Demand in the market for chlamydia infection diagnostics and therapeutics is receiving a boost also on account of the fact that chlamydial infections are asymptomatic, especially in women. This requires diagnostics kits too. However, there are is one big challenge holding back the market. It is the social stigma related with screening of Chlamydia trachomatis causing Chlamydia. This has resulted in several cases going unreported. Notwithstanding such challenges, the market is still making progress since due to the occurrence of different co-morbidity factors in women, particularly fatal ectopic pregnancy. In addition, the increasing resources available to support Chlamydia screenings will also likely bolster the market. Owing to limited competition, the global market for chlamydia infection diagnostics and therapeutics is expected to progress at a steady pace over the course of the next few years. Depending upon the diagnostic method for chlamydia infection, the main segments of the market are nucleic acid amplification tests (NAATs), PCR, and direct fluorescent tests. NAAT among them accounts for maximum market share since they are FDA approved. Geographically, Latin America, North America, Europe, Asia Pacific, and the Middle East and Africa are some of the key regions in the global market for chlamydia infection diagnostics and therapeutics. North America, among them, holds a substantial share both in the diagnostics and therapeutics section. The region’s dominance has been attributed to a superior health care infrastructure, rising instances of chlamydia infection, and the solid presence of health insurance covering a wide array of medical conditions. Apart from that, awareness initiatives undertaken by both public healthcare systems and NGOs has also resulted in improved diagnostic and treatment rates in North America. Asia Pacific is another promising market due to the presence of many emerging economies in the region and a large population base. Since the market in the region is price sensitive, generics are the most widely sold drugs.